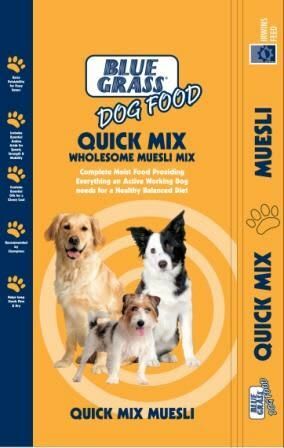 Wholesome Muesli mix providing everything an active working dog needs for a healthy balanced diet. Highly palatable for fussy eaters, containing high quality oils to promote coat health. Fortified in essential amino acids required for speed, strength and mobility. FOLIC ACID -Essential for growing cells and healthy blood. Important for healthy pups and a healthy heart. VITAMIN B12- Helps blood cells grow and develop, Important for healthy nervous system. IRON -Helps the body’s use of oxygen, carrying it to all cells in the body. COPPER- Important for healthy coat and condition, fertility and immune system.